Ecological forest management is not yet practiced everywhere in the world and limitations to its widespread application remain. Limitations include incomplete knowledge of the: effects of climate change on terrestrial ecosystem; life histories of previously noncommercial tree species and other plants and animals; the competition-density dynamics of mixed-species forests; and the appropriate scale at which to measure ecosystem responses to silvicultural treatments. Also lacking is economic knowledge about the total value of benefits derived from forests and about ways to evaluate tradeoffs among various goods and services. 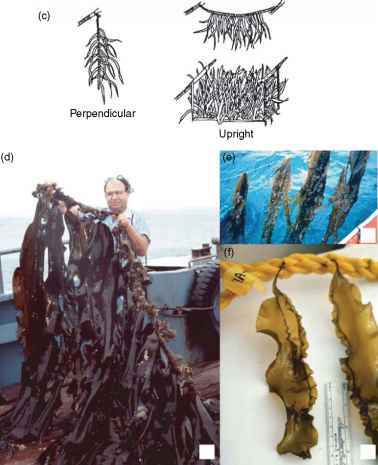 In No Timber without Trees (Poore etal.) the authors concluded that fewer than 1 % of tropical forests were being managed sustainably and that most were not being managed at all. They argued that sustainable management of tropical forests for timber production is essential because tropical countries often lackthe budget, political will, and logistical means to protect forests from colonization. Concession holders have a strong motivation to provide such protection to defend their investments. The Forest Stewardship Council (FSC), an agency based in Bonn, Germany, that fosters the certification of forests as sustainably managed, developed from this concept. To date, FSC certification has been achieved in many temperate forests, but only a relatively small area of tropical forests has been certified, especially in Africa. One timber company in Africa that has taken the long, but ultimately successful road toward FSC certification is CIB, the Societe Congolaise Industrielle des Bois, located in Pokola, Republic of Congo. CIB holds three large, contiguous timber concessions in the northern part of Congo near the country's borders with Cameroon and the Central African Republic. The concessions were granted to CIB by the Government of Congo for the purpose of managing the forest to produce timber, develop and operate manufacturing facilities, provide housing, schools, hospitals, and other amenities for workers and residents of the area (see Figure 10), and of course to provide revenues to the government through royalties paid on the timber harvested. CIB is a subsidiary of the Swiss-based company tt Timber Group, which was acquired in 2006 by DLH Nordisk, a large manufacturer of tropical hardwood products based in Denmark. Most of the wood products from the CIB concessions are bound for Europe, a market that is particularly sensitive to the need for certified wood products. Thus, in 2001 CIB began evaluating options to have its forests certified as sustainably managed. Figure 10 Employee housing at one of CIB's logging camps. Ecological forest management requires sustainable forest communities and, in addition to housing, the company provides schools, stores, hospitals, and other amenities such as farm plots and fish ponds to provide protein as an alternative to the traditional bushmeat. The first step in the certification process was to establish and implement detailed policies on CIB's harvesting operations, which open up large areas of forest and can negatively impact residual trees, soil, water, wildlife, and other resources. This was regarded as an especially important step for CIB because the company's concessions border the Nouabale-Ndoki National Park, an important reserve for lowland gorillas, forest elephants, and other wildlife. As a result, the company decided to formally adopt RIL on all of its operations. RIL comprises a set of technologies designed to reduce impacts associated with harvesting operations (see Figure 11). The most important of these technologies is comprehensive planning, based on a thorough preharvest inventory, to minimize disturbance to the forest while permitting access to trees that are available for commercial utilization. 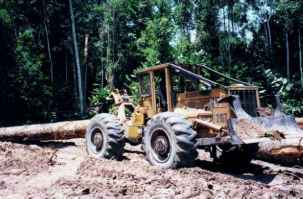 Figure 11 CIB's logging operations all utilize ground skidding equipment such as this rubber-tired skidder, shown here delivering a tropical hardwood log to a roadside landing where it will be loaded onto a logging truck for transport to the company's sawmill. During the planning effort, CIB foresters realized that an area of about 250 km2 within the Kabo concession and adjacent to the national park represented a serious impediment to certification. First, because of the flat terrain and high water table, it would be very difficult to harvest timber from the area without causing significant environmental impacts. Second, the area was shown through surveys to be an important refuge for lowland gorillas, chimpanzees, and forest elephants. As a result of negotiations involving the Government of Congo and the Wildlife Conservation Society (WCS), CIB was able to dedicate this entire area, known as the Gualogo Triangle, to wildlife conservation. It is now managed by WCS as a separate entity and is no longer part of CIB's timber concessions. Because of the abundance of wildlife on its timber concessions, CIB was forced to confront the issue of illegal hunting. Opening of forest areas with logging roads provides potential access to hunters as well as to logging crews. The company began building gates and blocking unused roads, sometimes removing bridges and culverts to prevent access to vehicles. The company also worked with the government to create a cadre of paramilitary game wardens who inspect all vehicles, including logging trucks, moving in and out of the forest. Heavy fines and mandatory expulsion from the forest area are imposed on all violators. At the same time, the company began a program of farm and fisheries development at its headquarters in Pokola as a way of providing protein to village residents as a substitute for bushmeat. In May 2006, the Forest Stewardship Council announced that CIB's Kabo concession had achieved full certification as a sustainably managed forest. It now represents one of the largest contiguous areas of certified tropical forest in the world. By Dennis P. Dykstra management options is illustrated by red alder, a deciduous tree in these predominantly coniferous forests. For decades, alder was not favored by forest management objectives that emphasized softwood production and so it was eradicated. But alder confers ecological benefits to a site because it has specialized roots that render atmospheric nitrogen available to other plants. In ecological forest management, alder retention also contributes structural and compositional diversity that is now valued for bird and other wildlife habitat. As markets for its wood have been developed, more options exist for maintaining it in a forest. Other barriers to application can be political, social, and financial. Lack of forest land ownership, property rights, and tenure laws can discourage management planning that extends over decades and centuries. Politicians, not foresters, set policies that directly or indirectly affect forest management, and political time horizons are commonly shorter than ecological ones. Further, tax policies affect forest management by influencing investments. Incentives that favor investment in regeneration and harvesting phases over intermediate treatments can make ecological forest management difficult to accomplish. Global and regional cycles of prosperity and poverty, peacetime and war influence priorities for ecological forest management and the resources dedicated to it. See also: Biodiversity; Carbon Cycle; Climate Change 1: Short-Term Dynamics; Climate Change 2: Long-Term Dynamics.